England’s greatest ever prodigy reached the highest level of chess competition, fighting Kasparov for the World Championship in 1993. 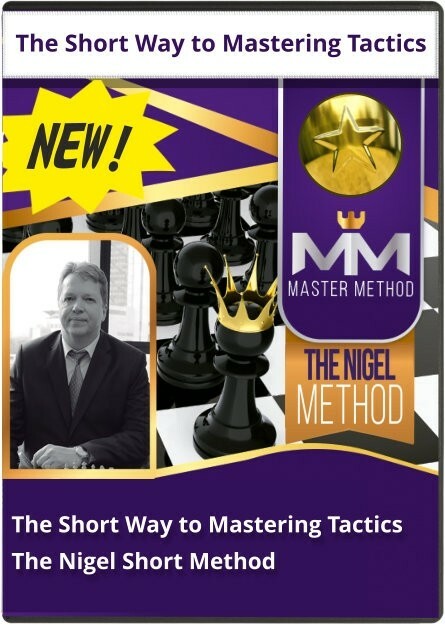 Nigel is not alone in his belief that mastering tactics are the #1 shortcut to improving your chess. However, his definition of “tactical ability” is much broader than your average GM’s. Nigel teaches you how to develop each of these skills using 40 of his most instructive games, from the legendary wins to heart-breaking near misses. Short is amazingly open and honest, explaining his thinking behind every move, what he was worried about, how and why he made certain inaccuracies. You actually get to feel what it’s like to play against Kasparov, Karpov and even Tal!